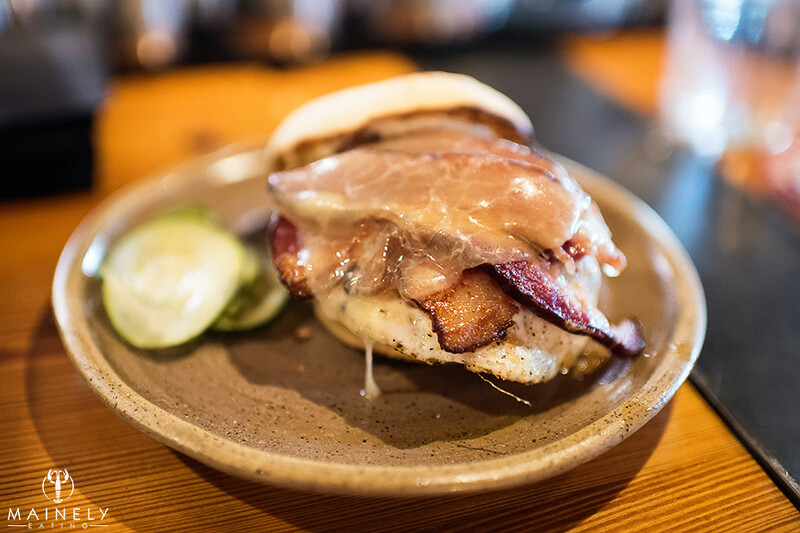 Brunch – not quite breakfast, not quite lunch, according to the Monday brunch menu at Central Provisions. Eggs are inevitably involved. Pair said eggs with a mimosa or a bloody mary – what’s not to like? 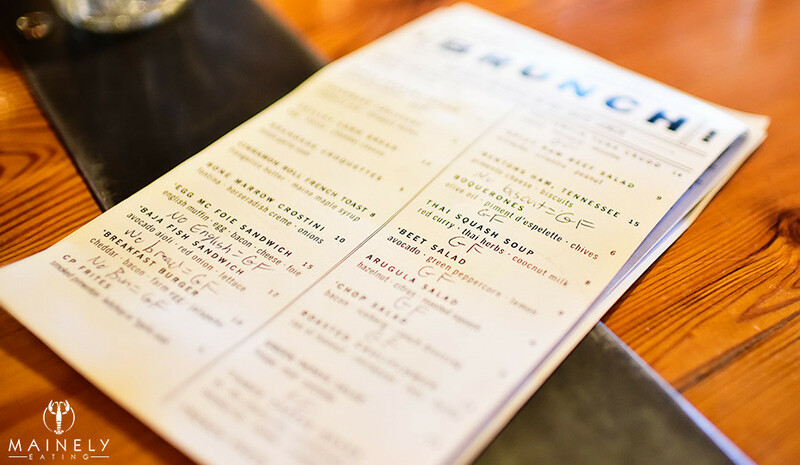 So how come most restaurants only offer brunch on Sunday? What if it’s Monday and you feel like brunching? Perhaps you’re visiting Portland, Maine for the weekend? Maybe you’re staying through Sunday evening and you’d like a delicious brunch on Monday morning before your drive/flight home. 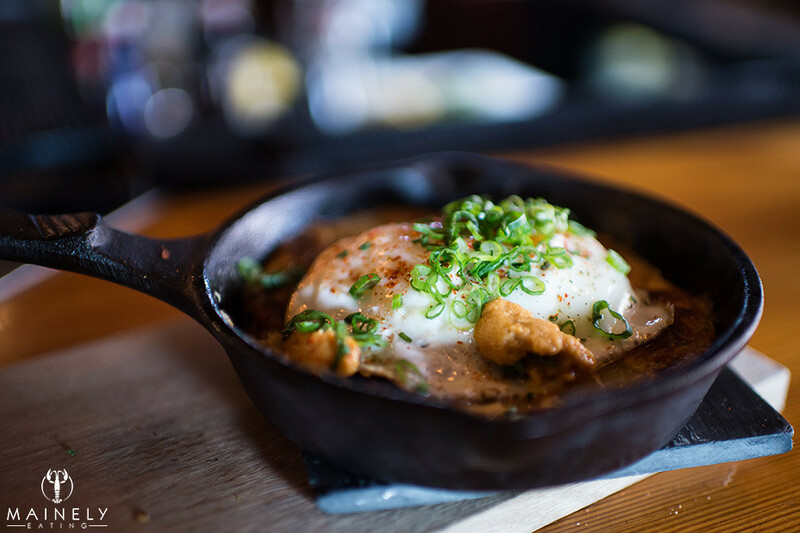 You’re thinking “Where can I get brunch on Monday in Portland, Maine?” Good news! 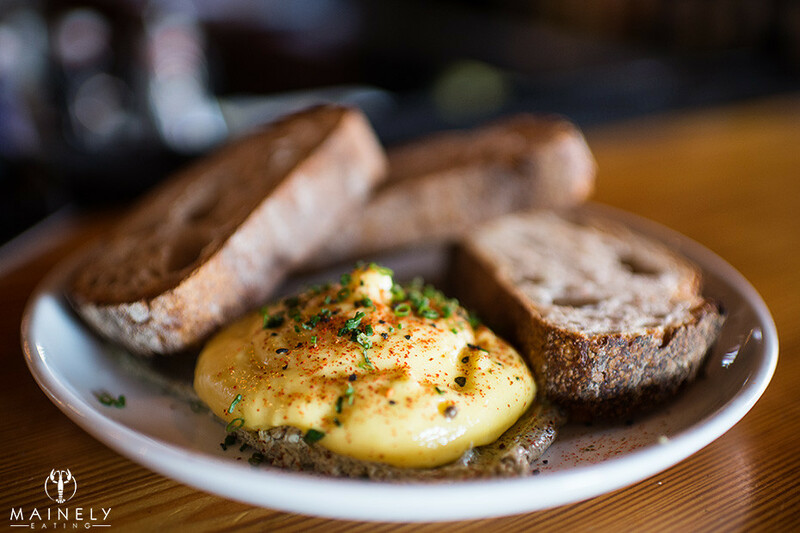 Central Provisions (nominated for a James Beard Award for Best New Restaurant!) serves brunch on Mondays! 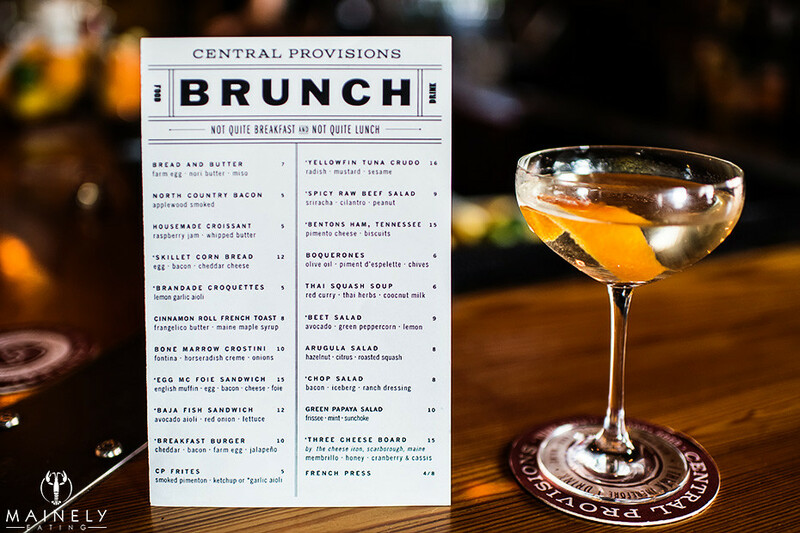 If you haven’t had the pleasure of eating at Central Provisions then brunch is a good introduction to the wonders of this Portland, Maine favorite. Central Provisions “staples” like bread and butter and tuna crudo are consistent favorites on the menu along with seasonal and daily specials. There are no reservations so be prepared for a considerable wait if you want to visit during high-season (June – September) but over the last month we’ve always been able to snag a table or seat at the bar with no wait. 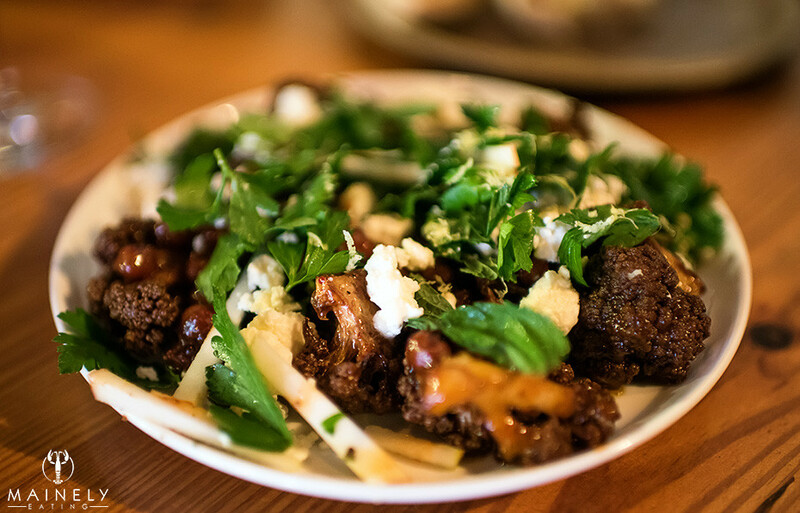 I’ve loved this dish ever since my first visit to Central Provisions. There are seasonal changes – maybe the butter changes from hazelnut to seaweed but it’s just so good. That first bite of warm bread generously smeared with “egg” never fails to delight. At first glance, your standard breakfast sandwich with crisp bacon, runny-yolk fried egg and melty cheese on a generously buttered then toasted English muffin. Take a closer look though. Hiding under all that breakfast goodness is a whopping great piece of seared foie gras. The Egg McFoie sandwich will RUIN you for all other breakfast sandwiches in the future, so order at your own peril…. You can see the foie on the image below on the left. My most recent Egg McFoie (on the right) was missing the cheese but I can’t say it affected my enjoyment in the slightest. 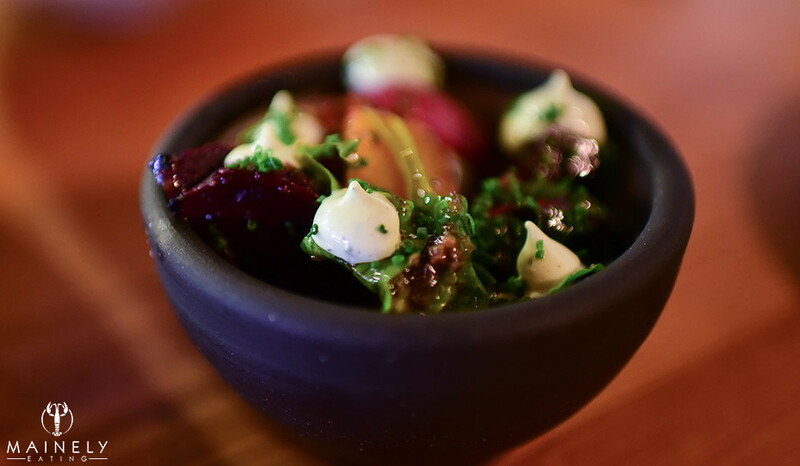 As the bowl of sweet roasted beets with a lemon and avocado cream is set down on the bar, my heart skips a beet. Sorry, not sorry. If you love beets, heck, even if you’re ambivalent about beets, get this salad. Your opinion of beets will forever be revised. My own love of beets is well documented and I’m totally going to attempt this lemon-y/avocado-y/peppercorn-y dressing at home next time I roast some beets. The cauliflower is roasted to a deep, dark brown color, with Ras el hanout, crunchy deep-fried chickpeas, matchstick slices of apple, crumbled feta, fresh mint and parsley – it’s a big bold dish. 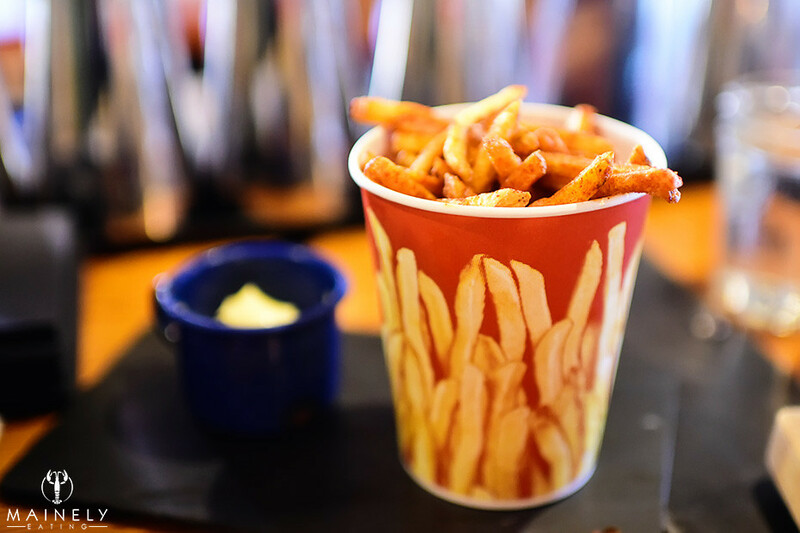 Shoestring fries in a cute little paper cup with a tasty little aioli or ketchup. Great side to go with your breakfast sandwich or burger but I think I’d rather just get an extra order of the beet salad next time! This was a special so there’s a good chance it won’t feature if you decide to visit Central Provisions for a Monday Brunch. A perfect little cornbread was filled with kimchi, a runny egg and generously topped with uni. On this particular Monday I’d taken my Mom for brunch and she somehow misheard this special and ordered it being unaware of the uni. Who knew? My Mom’s an uni fan! How can such a little piece of tuna taste SO GOOD? I have no idea but it explains why this dish is a regular on the Central Provisions Monday Brunch menu! If there was some kind of Oscars for tuna dishes, this one would be getting the lifetime award. And other tuna dishes would be thanking it for the inspiration. 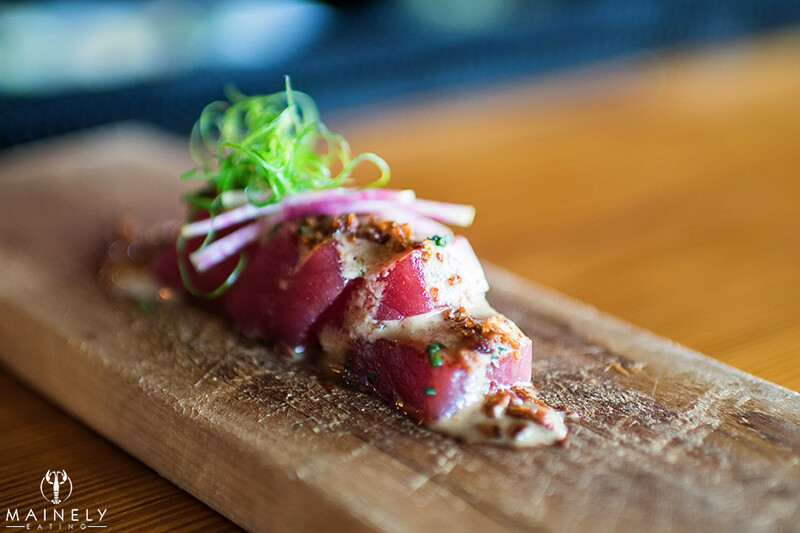 It’s so simple – a perfect piece of tuna, carefully sliced, a little drizzle of mustard-y magic, crispy onions, crunchy radish – and so delectable. 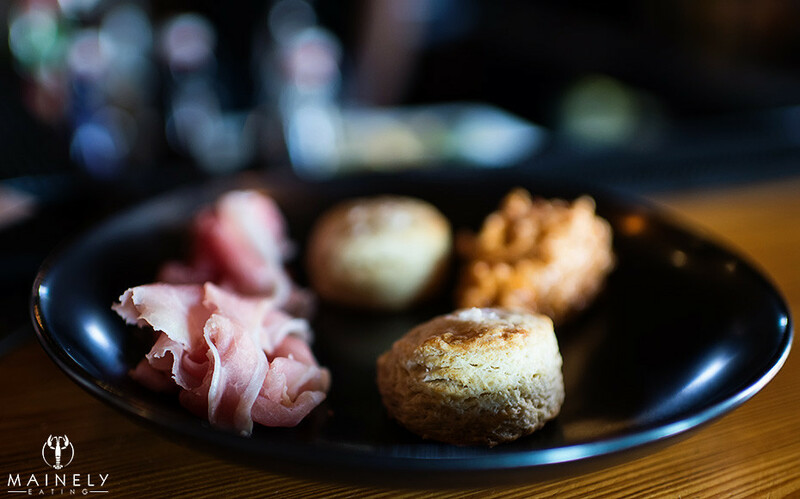 16-month aged Benton’s ham with pimento cheese and two divinely flaky little biscuits. The salty ham pairs beautifully with the spicy cheese slathered onto the tiny biscuits. If I HAD to choose between this and an Egg McFoie sandwich it would be tough but I’d probably go Egg McFoie. And then covet the Benton’s ham of the person sitting next to me. Brunch finishes promptly at 2pm with last orders at 2:15pm but if you’re having too good a time to leave you can make your way downstairs to the cozy little bar and enjoy more coffee, a cocktail or a couple of $5 bar snack rations – chicharrones, marinated olives, almonds, pickles or potato chips. My cocktail of choice is the Glass Slipper – Maine vodka, elderflower liquor, orange blossom water, topped up with prosecco. Icy shards of glass-like ice and a twist of orange peel makes it even better. Open 11am-2pm for lunch each day (brunch on Sunday/Monday), 5-10pm for dinner, 10pm – 12am for rations. Are you a brunch fan? Where’s your favorite brunch spot? Let me know!